Alberta’s Newest Dream Home Lottery! Published on November 29, 2018 at 11:00 pm . 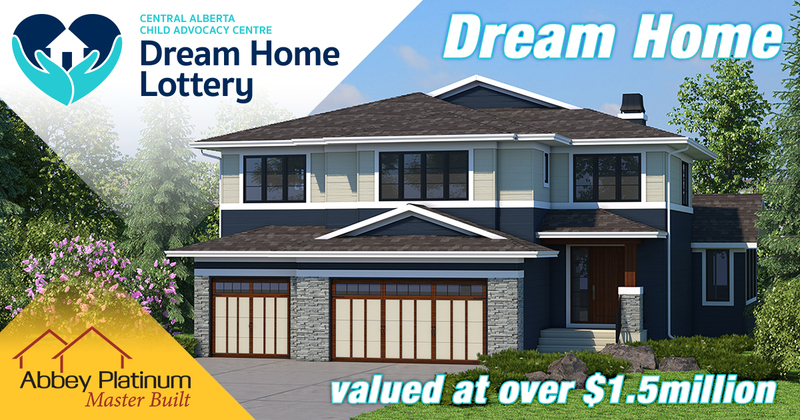 Red Deer, AB, November 30, 2018 — Will you be the very first winner in the Central Alberta Child Advocacy Centre Dream Home Lottery? Buy your tickets today for your chance to win over $1.8 Million in prizes, including the fully furnished Dream Home valued at over $1.5 Million. The centre is comprised of a collective that is driven by the courage to support children, youth and their families affected by abuse, enabling them to build enduring strength and overcome adversity. It takes courage to come together as a community to bring child abuse to the forefront, giving voice to a difficult issue that is often silenced. Click here to learn more.